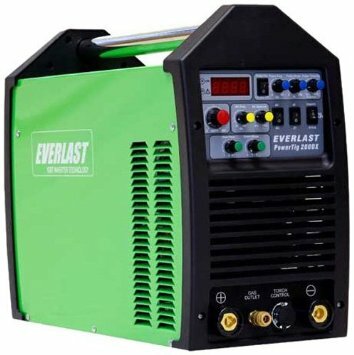 The Everlast PowerTig 200dx TIG Stick Pulse Welder is amongst the best, due to its stability and smooth arc characteristics. 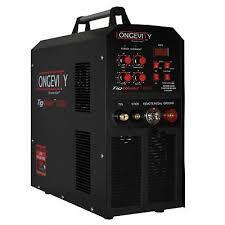 This is one welder that is also portable and lightweight with industrial capability. 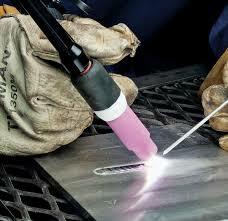 The pulse function increases weld quality and reduces overall heat input to help control burn through on thin metals. 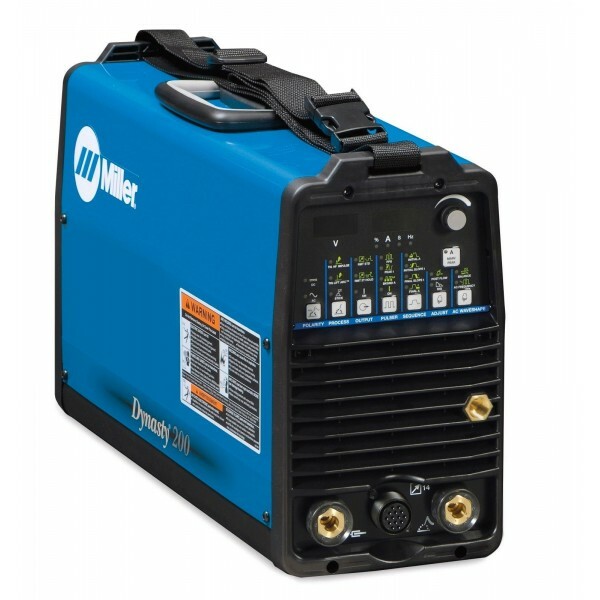 The advantages of this welder for all users include its ease of use, the quick connect gas line allows for a rapid setup. This welder comes with a digital readout for accurate setting of amperage while in torch switch mode. It also has color-coded controls that are easy to find and understand. The range of accessories it has include a 12ft economy WP 26 series air-cooled TIG torch, 6 feet input power cable, SMAW electrode holder(Stub Style, subject to change), argon regulator, consumable starter pack(does not include Tungsten) and foot pedal. It can be used for home projects and is very easy to use for beginners. The cables are flexible which makes positioning the torch effortless. The machine has excellent welding characteristics such as a stable arc, good control through the foot pedal or trigger switch. The set up for weld parameters is very easy. It is a powerful machine with high performance. It does an excellent job on both steel and aluminum. The foot pedal is responsive and is easy to use. The loud fan makes working in a small area unbearable at times. The fact that it does not come complete with all the parts is a disappointment, as you need to buy some other crucial parts like the Tungsten, which increases the expense. The machine is portable and lightweight with industrial pedal control. The stick option produces a very smooth steady arc and easy operation with the arc force option. The pulse function which increases welding quality and reduces overall heat input to help control burn. That the setup is very easy to even beginners. The warranty where a replacement of the welder can be sent free of charge, in the event that any problem should arise. The manual does not provide an in-depth description of all the capabilities and configurations- the elements that should be in the manual are the specifications for each mode and the operational limitations. The regulator has a bit of pressure burst upon initial flow (pressure rises a bit when the gas solenoid is off). The system has reduced capabilities when powered by 110 volts. It does not come as a complete set as some parts you have to buy separately i.e. the Tungsten’s. This machine has some very positive feedback, and almost all the customers are recommending it to other users who may be beginners or professionals in the field of welding. The packaging is also very impressive, to the extent that numerous consumers feel the need to comment on it. There is a consensus that this welder gives value for money. Most customers were willing to purchase all the additional accessories because their initial experience using the welder is so positive. The Everlast PowerTig 200DX TIG delivers what it promises to deliver, and for many customers, it goes a step further and surpasses their expectations. Though it is not perfect, it has more good points to discuss then negative points to review. Everlast is also commended for having excellent after sales service and dealing with customer complaints in good time, and with excellent results. The Everlast PowerTig 200 DX has a lot of options and capabilities because it a well-built product. Due to its ease of use, beginners can try their hand at welding with this welder, and they will achieve excellent results. There is an issue with the operating manuals, as they do not provide adequate information on how to use the welder correctly. This may lead to misuse and damage, and should be rectified by Everlast.